Austal Limited has delivered Cape Sorell, the fourth of eight Cape Class Patrol Boats being supplied to the Australian Customs and Border Protection Service under a $330 million design, build and in-service support contract. 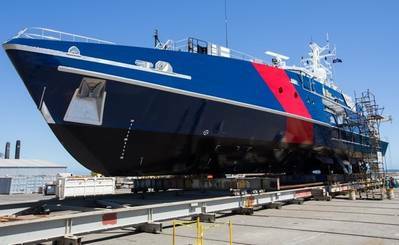 Austal Chief Executive Officer Andrew Bellamy said it represented a significant milestone with half the Cape Class fleet now delivered, and continuing to be delivered in accordance with contracted timeframes. “With the delivery of Cape Sorell Austal achieves a significant milestone where half the Cape Class Patrol Boat fleet has now been delivered to Australian Customs and Border Protection Service. Austal continues to deliver the Cape Class Program on time and on budget. Delivering on time ensures our customer can reliably continue to deliver on the Border Protection obligations it undertakes to the Commonwealth of Australia,” Bellamy said. The remaining four Cape Class vessels are at various stages of construction and will be delivered progressively through to late 2015, in line with the contract. Austal was awarded the contract for the design, construction and through-life support of the Cape Class patrol boats for the Australian Customs and Border Protection Service in August 2011. The eight 58-meter aluminum monohulls are due to be delivered between March 2013 and August 2015. The support contract extends for a minimum period of eight years and encompasses a full range of intermediate and depot level maintenance activities. Further options can be exercised by the Australian Customs and Border Protection Service for In-Service Support for the life of the Cape Class Patrol Boat Fleet. The Cape Class Patrol Boats will have greater range, endurance and flexibility in responding to maritime security threats than the current fleet. These vessels will also have enhanced capability to operate in higher sea states and survive in more severe conditions. 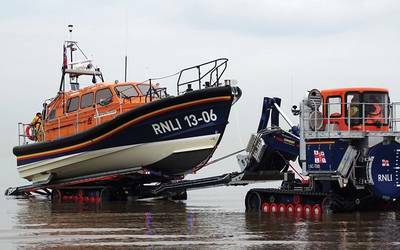 Launch two Tender Response Vessels simultaneously. Customs and Border Protection patrol boats may be deployed according to aerial surveillance, community reports and/or radar sightings. Assist management of offshore nature reserves and marine parks.